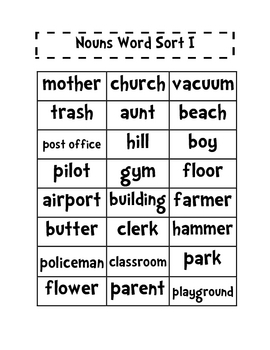 This contains two noun word sorts that allows students to sort according to person, place, or thing. 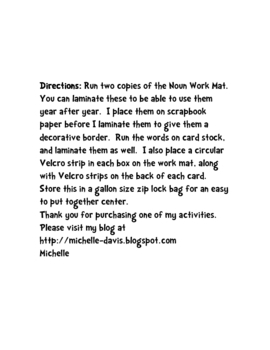 I usually print these on card stock and laminate for use year after year. 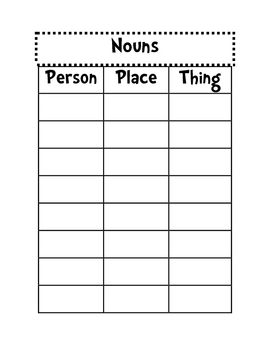 This can be used as small group remediation activity or as an assessment tool for individuals. Thanks for looking!